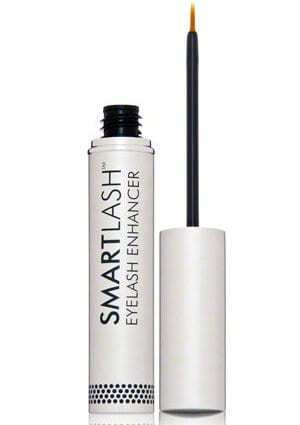 >> SmartLash Eyelash Enhancer: Does This Lash Growth Serum Work? SmartLash Eyelash Enhancer: Does This Lash Growth Serum Work? There’s no denying that the SmartLash Eyelash Enhancer looks pretty darn good at first glance. It’s sleekly packaged, it’s got great reviews and it’s even packing a good, healthy list of eyelash enhancing ingredients. We especially love that it’s physician formulated and tested, making it safe and gentle enough for even sensitive eyed beauties. Unlike other serums, this product must be used twice a day for best results. While this means SmartLash Eyelash Enhancer won’t last you as long as other lash products would, the extra application may ensure better results than those other products anyway. The 0.16 OZ bottle does last an impressive 30 days, though, considering how often you have to use the product. SmartLash Eyelash Enhancer also promises results within those 30 days. In self-assessments conducted by 30 women, 93 percent reported that they were satisfied with the fullness and length of their lashes after 28 days. 83 percent saw thicker looking lashes in the same amount of time and again 93 percent thought their lashes were healthier after those same four weeks. 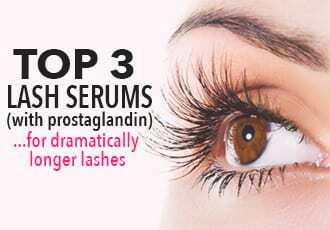 The prostaglandin-free formula should be non-irritating for most people and won’t cause discoloration in your eyes. Of course, prostaglandin is the active ingredient in a lot of the most effective lash products, but SmartLash Eyelash Enhancer contains other ingredients that make up for that. And while there may be a bit of itching until you get used to the product, it should still be an overall, irritation-free experience. Since you use the product twice a day, you’re likely to adjust to it quickly, as well. 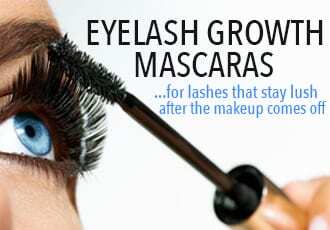 If you are concerned about having to apply SmartLash Eyelash Enhancer in the morning before applying makeup, worry not. As long as you let the product dry completely, you can use it with eyeliner and/or mascara. You can even use the product on your lower lash line, as well, which not every lash product allows you to do. This scores SmartLash Eyelash Enhancer some extra points. 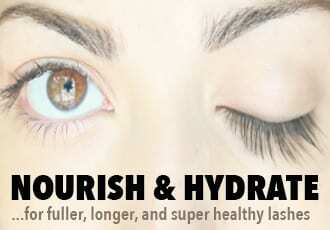 Overall, the physician-tested formula can fill in sparse lashes but mainly works to add to lash length. We wouldn’t call this a miracle product since a lot of lash serums can make lashes longer, stronger, darker, and fuller, but SmartLash Eyelash Enhancer does provide results. And at $45 for a 0.16 ounce bottle on Amazon, it’s a pretty good deal for a non-irritating, gently-formulated eyelash conditioner that works.